The day started at 5:30 am and we got to NEC Birmingham by half 10, I’d bought priority tickets so we could get in early (seeing the queue later in the day I’m glad I did), we asked an organiser if we could stow my spare ventilator in their office and they kindly agreed, there was a little stress getting in due to the entrance being a long way from the office but next time we’ll phone in advance to sort everything beforehand. 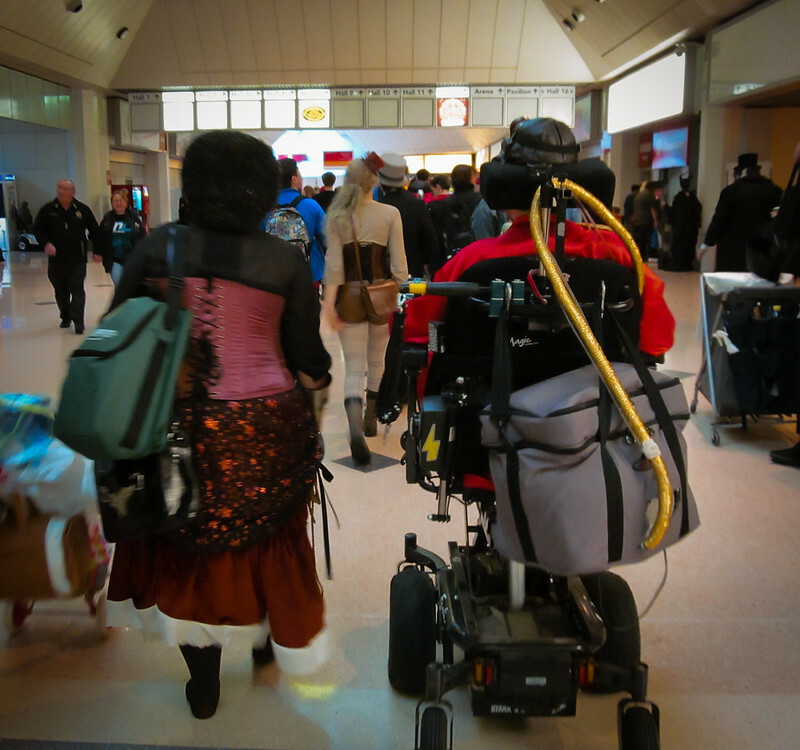 The show itself was good, it was nice being able to explore a little before the hoards were let in at eleven, there were a lot of stalls at this event and being crowd free made things a lot easier. My first photoshoot was with Hannah Spearitt who I have following me on Twitter, she was lovely and MCM photoshoots are much less rushed and more relaxed than Showmasters ones, you get time to take a breath and say a few words to who you are having your picture taken with. My second photoshoot was with Cary Elwes from The Princess Bride, he was extremely pleasant and loved my costume, if there hadn’t been a queue I think we may have chatted for a few minutes, I know chatting is something you usually do when getting an autograph but for me that’s awkward, my voice isn’t strong and with all the noise in the main hall I can’t be heard. 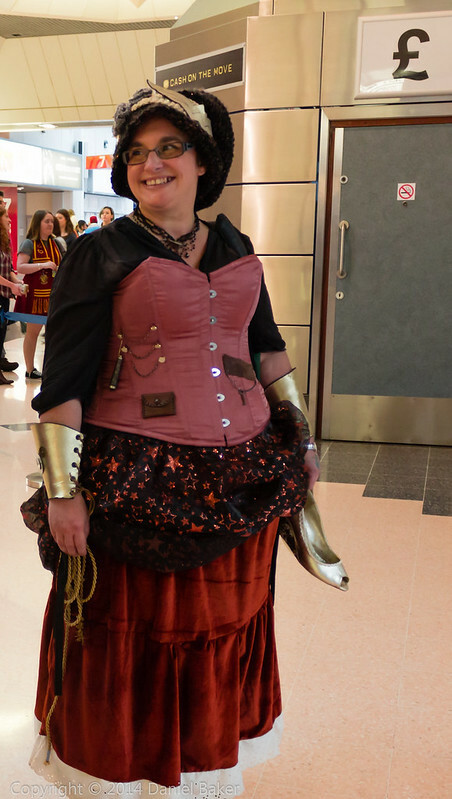 My best friend came with me this time dressed as Steampunk Wonder Woman, she had made the costume herself and done a great job, people definitely knew who she was cosplaying, as I said earlier I don’t think many people realised who I was supposed to be, but I had lots of people asking for photos and even more just complimenting me on the outfit so it was worth me trying something a little different. 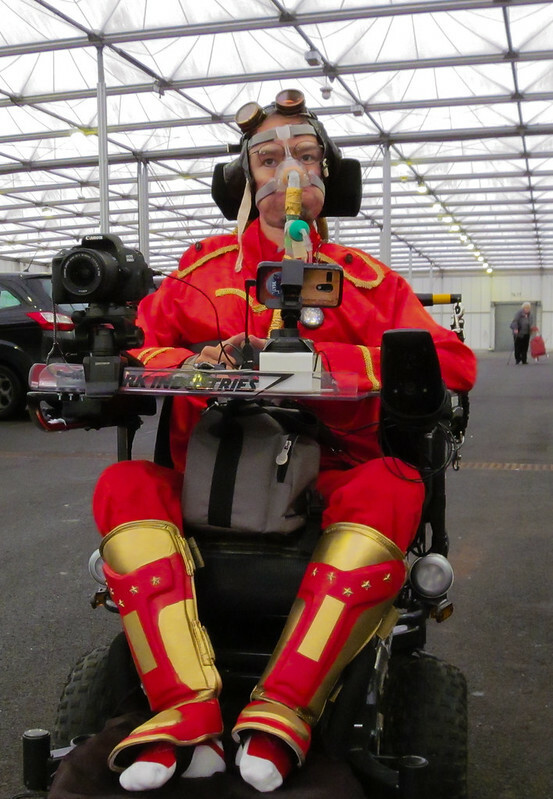 This entry was posted in Geeky and tagged Birmingham, comic con, iron man, MCM, wheelchair, wonder woman. Bookmark the permalink.